Thanks to the hyper-digital age that we’ve emerged into, there’s a lot more flexibility in the workplace in terms of where employees actually work from. While many employers still require much of their staff to clock in at the office, many others are increasingly allowing their employees to log in from wherever they happen to be. In fact, about 43% of employees in the US work remotely at least part of the time, according to recent a Gallup poll. And over half of American employees say that having a job which allows them to maintain more balance in their work-home life is very important to them. Well, many of those polled by Gallup are getting their way, as more and more employees are indeed working remotely. On a global scale, about one-third of employees across the world work remotely. That’s a 115 increase from 10 years earlier. But as advantageous as not having to commute to and from work every day may be, are there any drawbacks to this type of arrangement? There may be, as a recent study suggests that remote workers are less engaged at work. According to a poll of over 2,000 employers and employees from all around the world and published in the Harvard Business Review, as many as two-thirds of employees who work remotely are not engaged in their work. Further, over one-third work without any facetime with anyone on their work team. The poll also discovered that employees who work outside of the office are less likely to remain with their companies over the long haul. As little as 5 percent of those polled said that they would probably be working for their current company for the duration of their career. What can management do to make sure their remote staff remains highly engaged on the job? The solitude and lack of in-person communication with work colleagues can cause workers to lose touch with their team. With a lack of connection over a certain amount of time, it can be easy to lose the desire to remain committed to one particular job or position. Given these stats, it’s important that managers take on a unique and definitive business leadership approach to manage their remote workforce. Since remote employees lack the face-to-face communication and interaction that on-site workers have, managers need to take steps to make sure that the former feels just as part of the team as the latter. To do this, management should keep them included in all meetings, decisions, and situations that happen at work. It’s common for workplaces to reward accomplishments among employees, whether it’s with an “employee of the month” plaque, a gift, or just a simple “good work” and a handshake for the work and devotion that employees show. Though it can be more difficult to see the accomplishments of remote workers, management should make an effort to keep tabs on the efforts that remote staff put forth and reward them appropriately. Part of the lure of working remotely is that workers don’t have a boss constantly looking over their shoulder. But the downside to this is that communication can be more difficult. While remote workers can always pick up the phone, shoot a quick email, on hop on video chat, there’s no substitution for being in close quarters and having the ability to pass by someone’s desk to ask them a question or get their advice. To combat this, managers should make it a point of establishing a regular schedule whereby they have personal interactions at a set date and time with their remote staff. Setting aside a specific time frame to communicate with remote employees and check in on them can help make employees know that management is available and cares about the involvement of all staff, including those who work outside of the office. 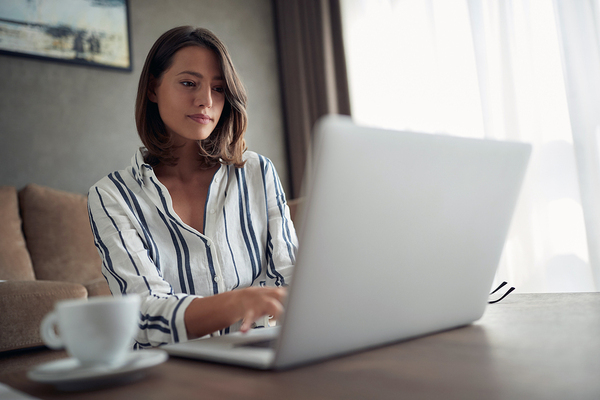 When organized properly, having remote employees can provide them with the flexibility they desire while ensuring that productivity and engagement remain high. It’s quite easy for remote employees to be less engaged at work, but with the appropriate measures and business leadership, management can ensure that remote employees remain engaged and fruitful while minimizing high turnover rates that are more typically associated with off-site workers.